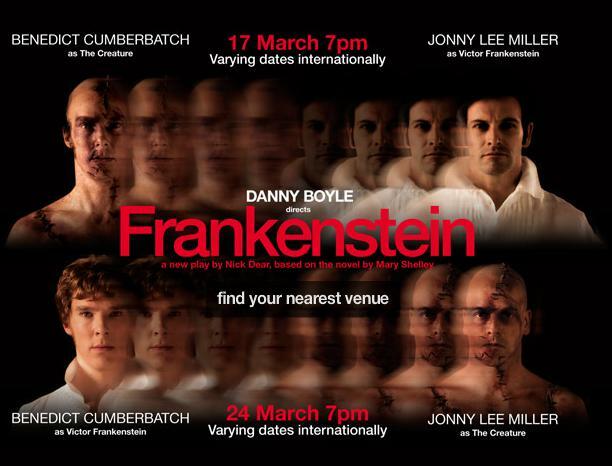 As part of the National Theatre's 50th anniversary celebrations, various cinemas screened a recording of the NT's live production of Frankenstein last month, based on Mary Shelley's gothic horror story. As I had not been lucky enough to get hold of one of the theatre tickets back in 2011 – they were like gold dust – I jumped at the chance to go see it at the cinema. The whole idea of opening up the theatre this way is fantastic, and although I do miss the atmosphere of a live performance, I undoubtedly had an enviable 'front-row' view thanks to the position of the cameras.